Street Theatre Pi-Leau by Close-Act is a part of Toronto Winter City festival. 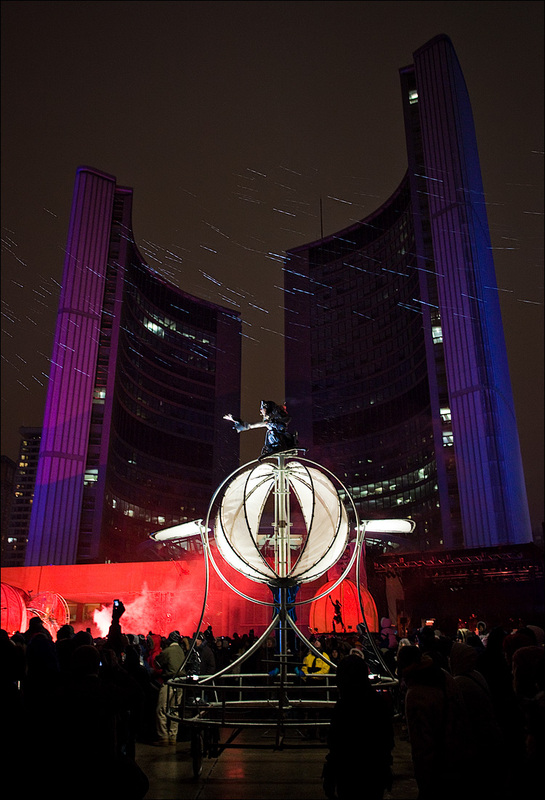 Shot at Nathan Phillips Square, City Hall in the background. Cold wind and snow didn't stop the brave performers.